XV's daughters. Like many of her family, she was an impulsive over-eater and by mid-life had become quite stout. Without concern for themselves, she and Adelaide nursed their father through his final and very contagious illness. Their nephew the Dauphin ascended the throne as Louis XVI, and when Marie Antoinette's influence began to manifest itself, the old sisters retired to their chateaux of Bellevue and Louvois. From that time the story of the livesof Adelaide and Victoire became inextricably bound. They spent vast sums of money gathering around them a mock court in which petty jealousies and intrigue ruled supreme. In the latter half of the 1780s, Vigee Le Brun's chief rival, Mme Labille Guiard, became the official portraitist to the King's maiden aunts. "Mesdames Tantes," as they were known, returned to Versailles at the outbreak of the Revolution. Along with Louis XVI and his family, they were escorted towards Paris by the mobs that invested the palace on the night of October 5-6, 1789. In 1791, as soon as the King had approved the civil constitution of the clergy, his aunts petitioned him for permission to leave the realm. En route for Italy, their coaches were stopped repeatedly and their persons threatened, but they finally managed to cross into Piedmont. Their reception was triumphal all along the way to Rome, where they were to live until 1796. In the wake of the French invasion of Italy, the two elderly spinsters fled first to Albano and then to Naples. In February 1797, they were lodged by Ferdinando IV at Caserta. Having long since depleted their financial resources, they were reduced to borrowing in order to keep their household together. In 1799, the arrival of the French troops obliged them to flee once again, this time to Trieste where they died, Victoire on June 7, 1799, and Adelaide on February 18, 1800. Their remains were returned to France in 1817 and were given a final resting place in the basilica of Saint Denis. Phoenix's painting has invariably been exhibited as the portrait of Madame Adelaide, but that work (fig. 36), also signed and dated 1791, is in the Musee Jeanne d'Abboville, La Fere (Aisne). 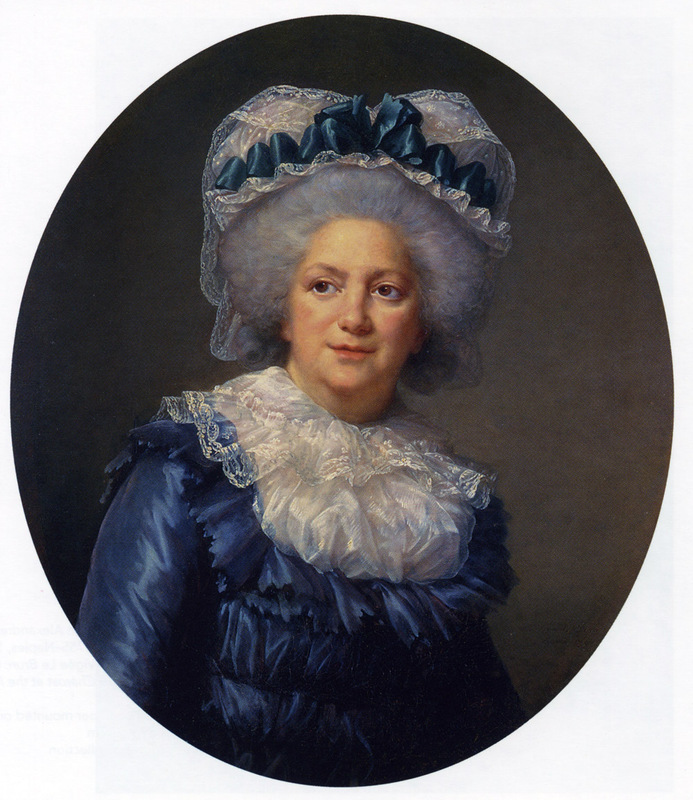 A portrait of Madame Victoire attributed to Vigee Le Brun was in the Tarade collection when exhibited in 1875 at Blois, Exposition retrospective au Chdteau de Blois, no. 340. PROVENANCE: Marquis Francois de Ganay, by 1910; Comtesse de Behague; Wildenstein, New York; purchased in 1974 by the Phoenix Art Museum with a gift fund by an anonymous donor in memory of Mr. Donald D. Harrington. MAJOR EXHIBITIONS: Berlin, Konigliche Akademie der Kiinste, Exposition d'oeuvres de I'art francais au XVIIIE siecle, January 26-March 6, 1910, no. 81, illus. ; New York, Wildenstein, French XVIlIth Century Paintings, 1948, no. 51, illus. REFERENCES: Souvenirs, II, 143-144, 368; C. Strienski, Mesdames de France, Paris, 1911, p. 210.